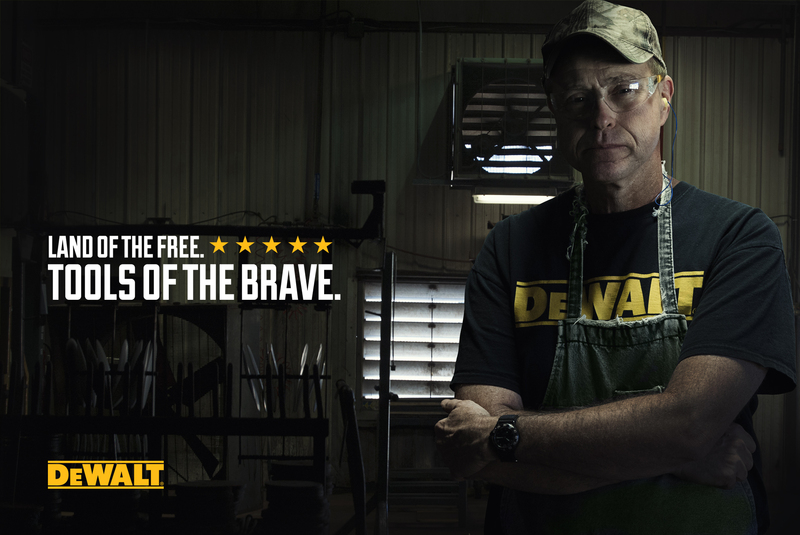 DEWALT is known for building the toughest of tools. But most people don't know the even tougher people in America who are building them day in and day out. As DEWALT continues to bring its manufacturing back to America, they needed to launch a campaign to educate users where the tools were made as well as tell an effective PR story. The campaign was launched on Veterans Day in Vegas at the Veterans Day parade. The campaign was shot in six locations over a months time.